So I have a 14 gal planted tank running an AI prime light dosing with CO2, 1 bubble every 3 seconds when light is on. I have 4 tetras 2 Cory cats 3 Bertie snails and 3 shrimp. Any idea what it could be or how to fix it? I’m starting to see more algae growing in other parts as well and wasn’t sure if this was the diatoms or something else. Looks like Cyanobacteria which is typically brought on by low nitrates. Are you dosing fertilizers? I am once a week. I just tested my tank and my nitrates are near 0 but it’s not digital so I’m not sure exactly. Hey thanks for replying. I tested my tank last night and my nitrate levels are near zero. It’s not a digital test just to strip so I’m not sure the exact number. And yes I am dosing fertilizer once a week, I did those little early this week though. I've never heard of BGA being brought on by low nitrates (I've more commonly heard low flow and low oxygen, but I'm not sure I believe those either.) My favorite method to take care of it is to dose the tank with something like Chemiclean. It's safe for your biological filter and all of your livestock, and two doses should clear up all of that in a week or so. Great advice! I’ll pick up a bottle tomorrow. Thank you! I think you need to take a look at the overall picture. Why are your nitrates near 0? Plants need nitrates to grow. You need to provide the nutrients your plants need or algae and bacteria will take over. If your nitrates are near 0 you aren't providing your plants with what they need. What is your dosing schedule? What is your CO2 level? How bright is your light set? How often and how much water do you change? Have you ever done a water change? I'd be hesitant to take advice from someone that doesn't know what is going on in your tank now. Diagnosis without and examination is malpractice. You really need to post all your parameters and dosing. Any environment where plants don't thrive is a good environment to grow algae and bacteria. Thank you for the insight, especially as a new tank owner. I am dosing CO2, until the algae took over then I shut it down. Was running around 1 bubble every 3 seconds, but as far as the level I am not sure. And I was under the impression my nitrates should be near 0, I was informed by an out of touch tank keeper then so I’ll look into bringing those levels up this week. I’ve attached some more pictures including my light schedule. Currently running 8 hours full spectrum and as far as water changes, not many. Usually just top offs. Turning down your CO2 will typically cause more algae. I'd get the CO2 back on. Is that an active substrate? If so the plants are getting some of what they need from that. If not, you need to feed your plants. 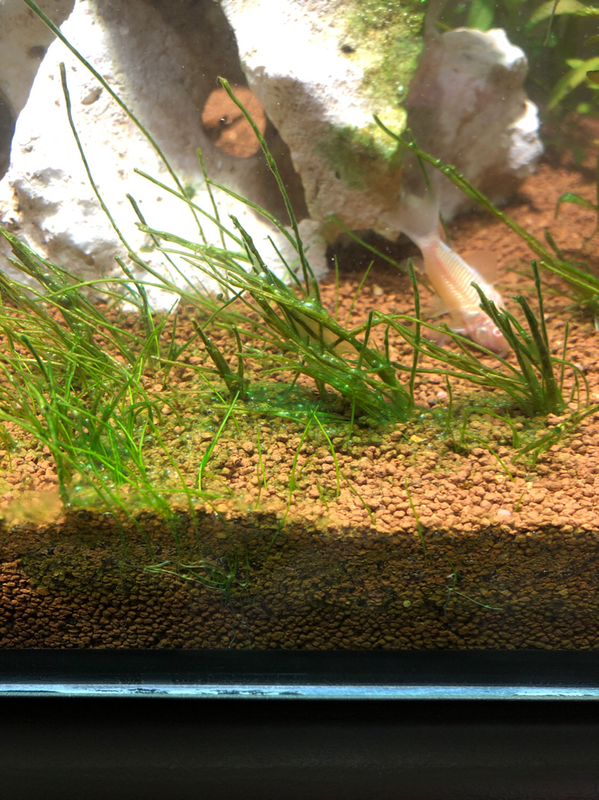 Most forum members add nitrates to their tanks. Turned back on! And yes it is an active substrate. 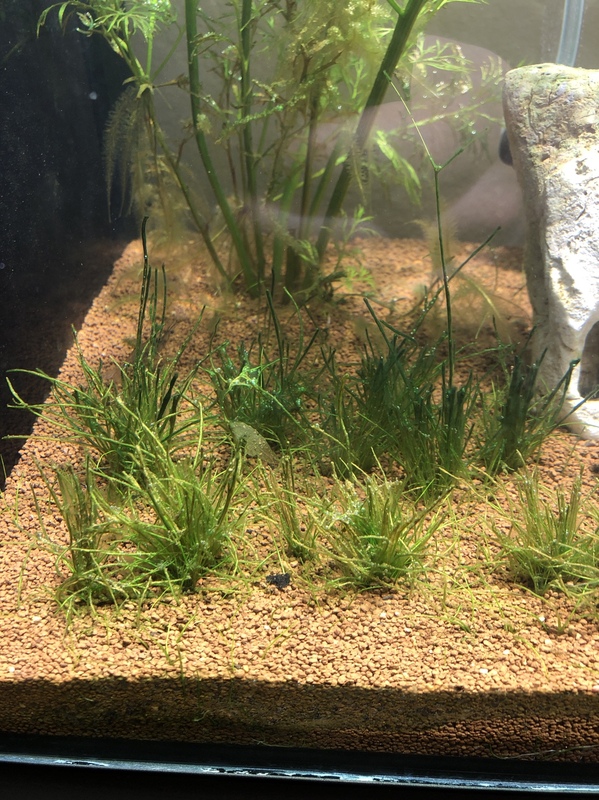 But I’m thinking of adding a bit of nitrates then because I’m not sure how great my substrate is, it was on the cheaper side. Maybe it's lack of nitrates. Maybe it's excessive nitrates. Do you want to add something without knowing what the problem is? Did you cycle your tank? How do you expect to care for a box of water when you don't know anything about the water? You need to get a test kit, or at the very least take your water to and LFS for free testing. I have test strips, just not digital. That’s how I knew my water was at near 0 nitrates. I’m not sure if nitrates in the substrate are supposed to pick up on water tests or not and cannot find out with my research. A buddy of mine has a digital tester he’s bringing this weekend. Yes I cycled.